Designed exclusively by NEW ERA, The Dragon Institute 39THIRTY Stretch Fit Cap features an all black Hex Tech breathable mesh fabrication for staying cool during training. 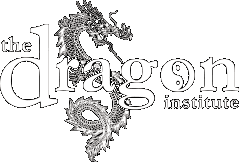 It includes a raised light grey print Dragon Institute logo on the front, a red NEW ERA logo is embroidered at the right-wear side and a small Chinese character Wing Chun red tag at the rear. Additional details include DryEra, CoolEra and MicroEra performance technologies for water repellency, moisture management and anti-microbial comfort.